The Upper Sacramento is a great fishery with a variety of water that will keep even the expert intrigued as to what the next bend in the river might hold. The “Upper Sac” as it is known to the locals is a freestone river with pocket water, riffles, runs, huge pools, undercuts and small holes. This diversity of water types and the plethora of food sources make this river fishable year-round and with every style of fly-fishing a person could want. Dry fly fishing, dead drifting nymphs, swinging wet flies and streamers are all effective on the Upper Sacramento River. This river is a lot of fun in the early to mid-summer. When it is hot out wet wading, the river can offer relief. There are some put and take areas for anglers that would like to take their catch home. Bring a wading staff “Hearts River Stalker” recommended. The Pit River is a complex waterway with many different stretches known as “Pit 1” though “Pit 7” respectively. This fishery is dominated by Rainbow Trout though Brown Trout are caught on an infrequent basis. HarvestWild concentrates on the portion from Lake Britten or Pit 3 down the river to Shasta Lake Pit 7. This is a challenging river to wade and is not recommended to anglers that are worried about falling in. On the Pit River, it’s not a matter of if but when will you go down. That said the fish here might be the most aggressive nymph eaters anywhere. Making it so all the work to get down to the water then wade to a location is usually rewarded with many opportunities. 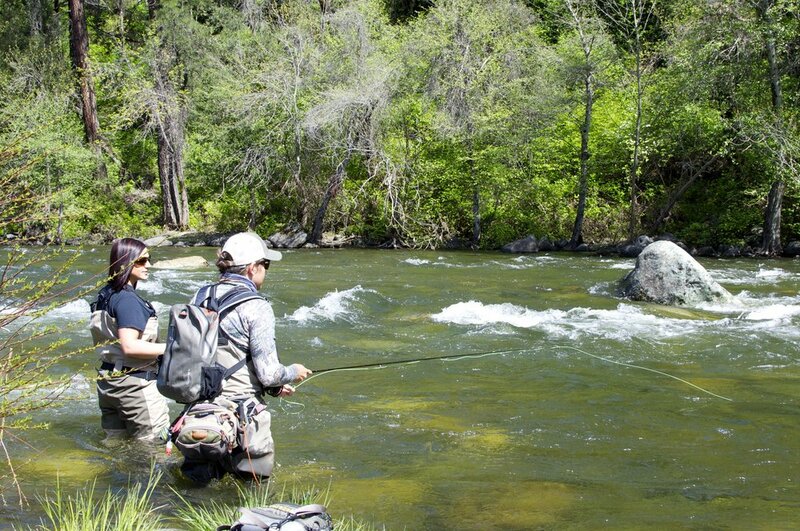 We recommend this river to physically fit anglers looking to push their comfort level a bit. This is a wild trout fishery so limit your catch don’t catch your limit. Dress for the weather, layering is always good. Watch the weather report. 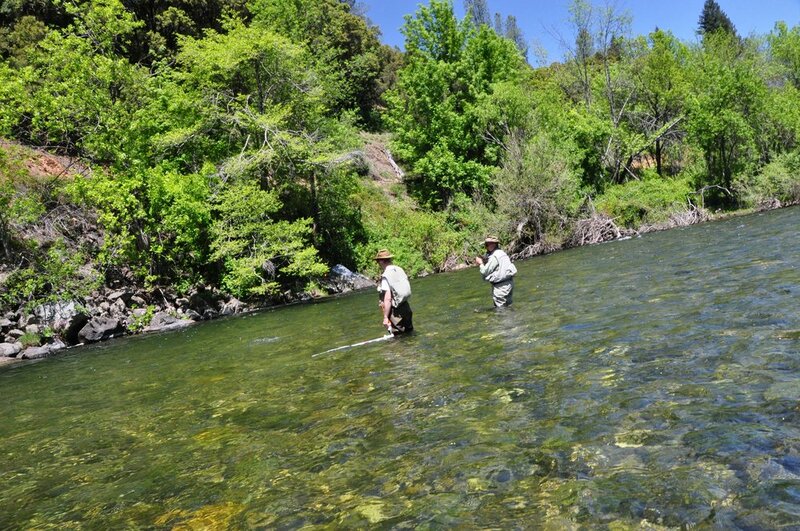 The McCloud River is home to one of the most infamous of all Rainbow Trout, the McCloud River Red Band; which has been planted in rivers from New Zealand to Argentina and Chilean Patagonia. In addition to these world famous Red Band Trout, the McCloud offers Brown Trout that can stretch the tape out passed 20 inches, that will attack a streamer or slowly sip a dry fly. This is truly a gem of a river having all the classic freestone style water. You can nymph all day or throw a dry and have success. 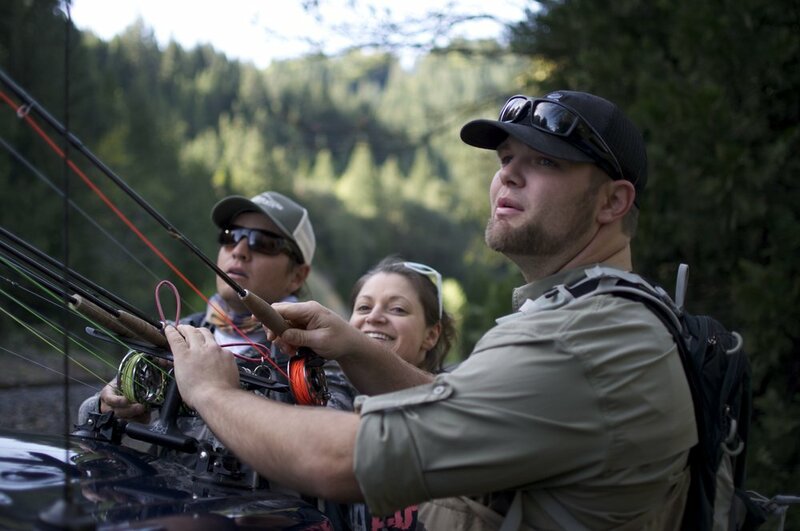 There is a special place in the heart of every fly fisherman for the McCloud River. The McCloud starts at the foot of Mount Shasta and flows south to Shasta Lake. Fishing begins the last Saturday in April and runs through November 15 (Check regulations). Hat Creek is known as one of the world’s most famous spring creeks with abundant insect life and healthy trout averaging 12 inches. Stealthy fishing and a good presentation can get you into chunky 20 plus inch Rainbows and Browns. These monster trout are known for their discerning eye. Solitude is hard to come by on this creek which is a great indication that the fish are worth it. Hat Creek is relatively flat topography and there is good access on the public water. It is a beautiful creek in a spectacular setting, stretching nearly 50 miles. Starting at the base of Mt. Lassen, an active volcano, flows northward reaching the mouth at Lake Britton. The out flow from Lake Britton comes out at power house 2 then flows 3.45 miles to Lake Britton near Burney, Ca. 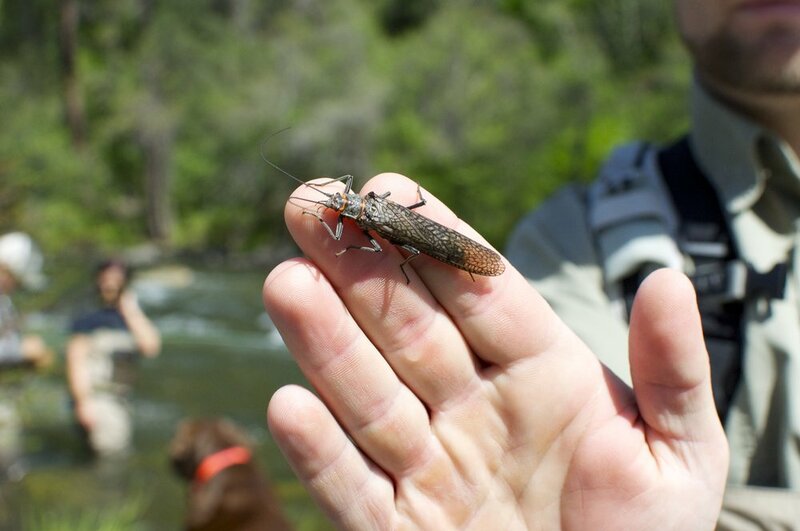 If hit at the right time the Stonefly, Green Drake and October Caddis hatches can be epic fishing. Fishing begins the last Saturday in April and runs through November 15 (Check Regulations). There are many other small streams in the area that offer great fishing throughout the trout season (last Saturday in April through November 15). They are too numerous for specific notation but if you would like to find solitude and fish dry flies and dry dropper rigs to hungry small trout, call or email us and we will be happy to find a stream that will offer you the experience you desire.